Arsenal are said to have agreed a £60m deal with Borussia Dortmund for their star striker Pierre Emerick Aubameyang. Arsenal look to have moved a step closer to getting their man, with the deal placed on hold until Dortmund can guarantee a replacement striker. The Gunners will smash their transfer record in order for the deal to go through, but should the move happen, the London based club will get themselves a player with immense talent. 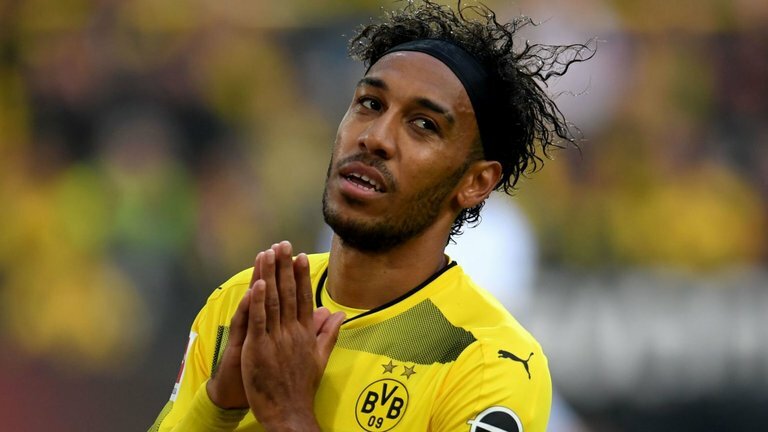 Gabon International Aubameyang has reportedly been offered a salary in the region of £180,000 per week, agreeing to a deal that will keep him at the Emirates stadium until 2021. Premier League club Arsenal are have become renowned for limiting their spending ever since Arsene Wenger took the reigns over two decades ago. However, in more recent years, that has all changed. Just look at when they forked out for top players such as Mesut Ozil from Real Madrid. In turn, this broke their transfer record at a hefty £42.5m. Arsenal have failed to earn much in terms of silverware, though, with the exception of League Cup and FA Cup wins. They have failed to win the Premier League title for over ten years. In that time, they have fell behind the likes of Manchester United, Manchester City, and Chelsea in terms of Premier League dominance. In the Champion’s League, Arsenal have also struggled despite qualifying for the competition numerous times. But to be fair, they often get paired with European giants Barcelona and Bayern Munich. Despite Arsenal’s best attempts, they have failed to overcome such heavyweights. This then caused them to face calls to invest heavily in their squad season after season. Aubameyang is exactly the type of player Arsenal need. There’s no doubting that The Gunners play attractive, attacking football. But it’s often their failures in the final third which let them down. This is where Aubameyang will help them greatly, as he’s without a doubt a proven goalscorer. Having lost the likes of Robin Van Persie and Alexis Sanchez in recent years, Arsenal are in dire need of a new burst of energy up front. Aubameyang most definitely appears to fit the bill perfectly. Aubameyang has proven himself in the Bundesliga in recent years, and there’s no reason that he can’t do it in the Premier League too. But, only time will tell if he has what it takes to become a Premier League great. Do you think Aubameyang will push Arsenal to the next level? Tell us your thoughts in the comments section below.